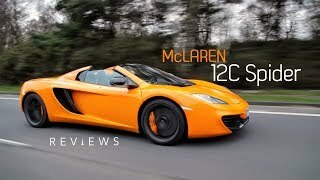 The new McLaren 12C Spider, unveiled at the Pebble Beach weekend in California, is the second vehicle in the growing range of high performance sports cars from McLaren Automotive. Unlike most other spiders or convertibles, the 12C Spider offers the same performance, handling and driver enjoyment as the fixed-roof coupé version. The 12C Spider utilises all of McLaren’s Formula 1 knowledge and expertise at building lightweight driver-focused sports cars. The 12C Spider is built without compromise to offer maximum driving enjoyment and performance, but with the added appeal of roof-down driving. No other sports car has this combination of abilities. 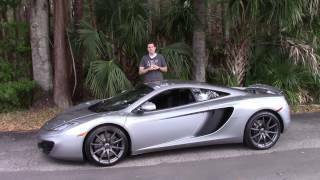 The 12C Spider uses the upgraded 625PS engine, which is part of the 12C Model Year 2013 upgrade. It accelerates from 0-62mph (100 km/h) in just 3.1 seconds (when fitted with Pirelli P Zero Corsa tyres). Maximum speed is 204 mph (329 km/h).